30mm Paladin Churchill SE Arrival! This brush is a monster! I’ve only given it one go thus far but it’s a beautiful brush. Great feel to the badger without any scrub/scritch. I’ve compared it to the CH2 for size in the below photos. I feel that this brush is a great bowl (not bowel, as in the colon) lathering brush. It was difficult with the scuttle not to hit the sides but the wider AESOP bowel worked wonderfully. Anyways, here are the photos! Now that's a big beautiful brush! Congrats! Also, I got a big chuckle out of the typo. (12-02-2018, 05:51 PM)ddk13 Wrote: Now that's a big beautiful brush! Congrats! Yeah, no one has ever asked, but we'd recommend against that. Shaving brushes generally aren't intended or well-suited for internal use. And I'm sure Winston would not approve. Now I'm wondering if I need to expand the scope of our product liability coverage. That's a great looking big brush, and the ivory is beautiful. Ha! Bowel lathering. A new concept. That’s a gorgeous brush. I’m very jealous and wish I were able to pick one up. Verrrrry nice. As for bowel lathering I can truly say not advised. I have a Winston XL(without the picture of Churchill engraved) and it is one of my top 2 or 3 brushes that I own. (12-02-2018, 09:53 PM)mike_the_kraken Wrote: Beautiful ivory grain! I love the grain! It’s hard to see in photos bit it’s a great classic look! It is a great knot/brush for sure! I will say, however, that Simpson will always be Simpson. 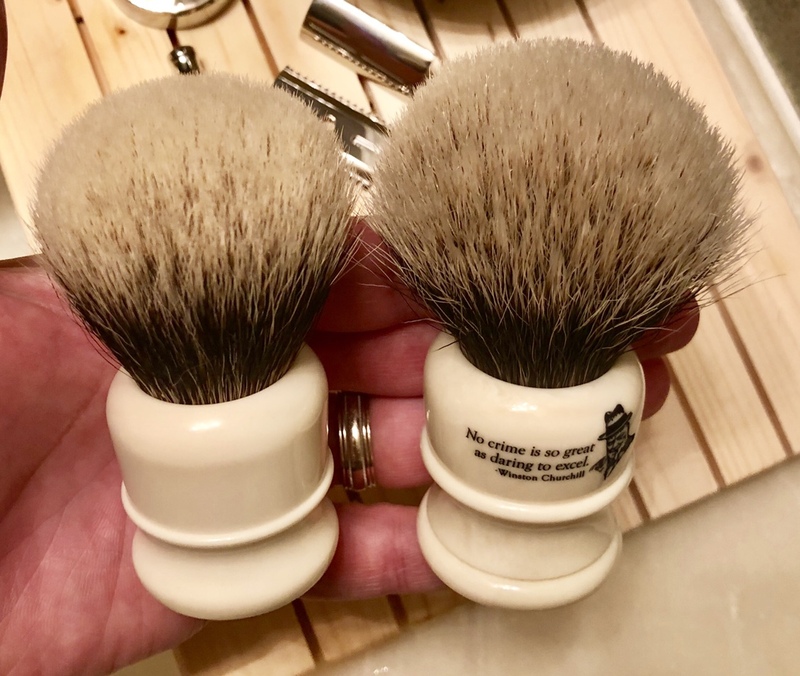 They make a fantastic shaving brush that IMO is top tier. This is especially obvious when we compare apples to apples. 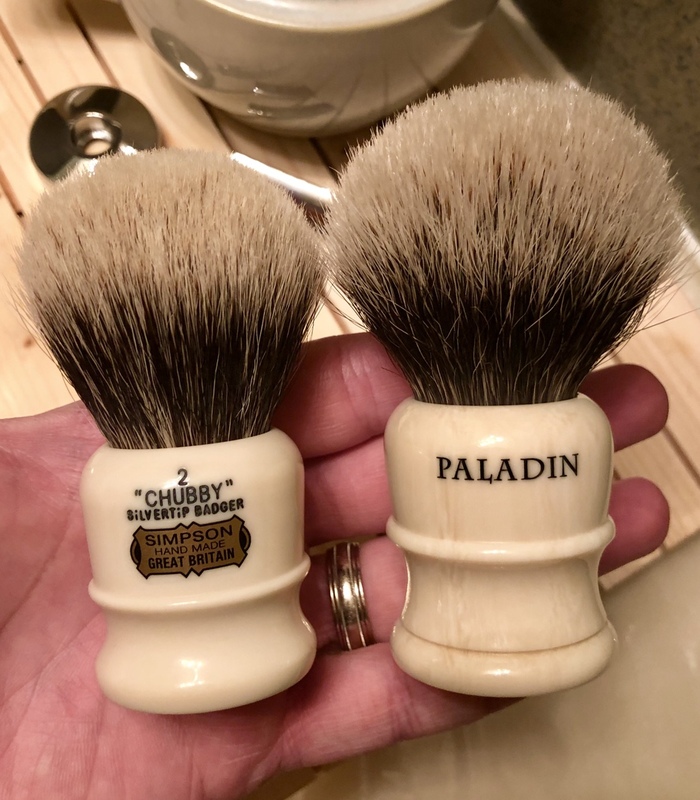 When (or if) I am lucky enough, I will compare the CH3 manchurian and CH3 silvertip badger to this brush. That’s a more fair comparison given knot size. For now, however, I am unable to attain these brushes due to production. . Maybe Mark can help me out on this availability? (12-02-2018, 07:54 PM)bkatbamna Wrote: I have a Winston XL(without the picture of Churchill engraved) and it is one of my top 2 or 3 brushes that I own. Wow that is very cool. Love the marbleized Ivory. Might have to take another look at those.